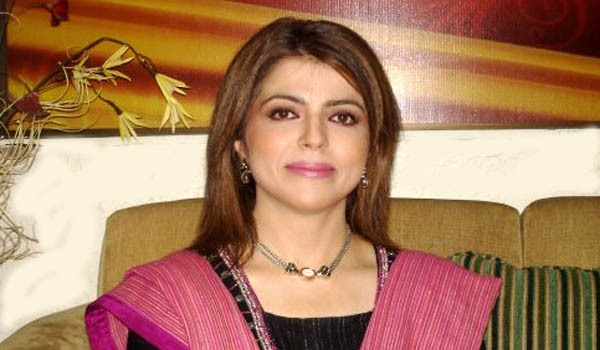 Currently the Dean of the faculty of Social Sciences and Media Sciences at Shaheed Zulfikar Ali Bhutto Institute of Science and Technology (SZABIST), Prof. Dr. Fouzia Naeem Khan is a social scientist, consultant clinical psychologist, TV Anchor and Host, and a Corporate Trainer to bring in social changes through media dialogue and debate. She is also the Head of Student Affairs at SZABIST. Dr. Fouzia gained her Masters and Post Magistral Diploma from the University of Karachi in 1991 and was married the following year. After focusing on her children for a few years, she did her PhD in Professional Psychology from Bahria University, Islamabad, in 2001. Along with this, she has done several other courses including an internship at PNS Shifa. Despite hailing from Swabi, Khyber-Pakhtunkhwa, which is rife with tribal culture, Dr. Fouzia has managed to come this far. Although Swabi has the highest literacy rate in that region, due to typical tribal culture, women education is not prioritised. However, her mother always supported and motivated her to strive for the highest level of education. Dr. Fouzia has always been very enthusiastic about education. In 1995, she joined the education department in the Sindh Government where she worked for 10 years. She then joined the Social Sciences department at SZABIST in 2004. Dr. Fouzia firmly believes that women education should be highly prioritised and that women have the power to take this country forward. Being 53-57 per cent of the total population, it is high time for women education, skill development and vocational training to be prioritised at all government and private levels so as to increase the national productivity and output levels, reduce poverty and improve living standards for present and future generations of Pakistan. The root cause of our problems is lack of education leading to lack of opportunities for employment which in return is giving rise to criminal and terrorist activities and it is because of this very state of the education that Dr Fouzia's is concerned. Apart from this, there are many other imperfections in the system that she is unhappy about. Amongst them are the discriminatory standards of private schools vs public (government) schools and madrassah schools. Cheating is also rife in the system and there are stories about leaked papers and new and advanced methods of cheating. As an educationist and a media person, she strives to highlight the shortcomings of our education system at every possible forum, and offer solutions. She is trying her best to create awareness, a nationalistic approach and a deep patriotic sense in her students. It might be just a drop in the ocean, but she is positive that it will become a wave when other likeminded drops join her to bring about the inevitable change. Dr. Fouzia has also served in different educational institutes of federal and provincial government and had conducted various workshops on Leadership, stress, Time and personal management, psychometric, mental health, female and youth affairs. She is Member of various academic and non-academic organizations. Dr. Khan has conducted workshops at UNDP, LEADS, Agha Khan Health University, National Institute of Management (formerly National Institute of Public Administration), United Nation’s Association of Pakistan, National Bank of Pakistan, Ziauddin medical university, and has served Higher Education Commission as a resource person for their faculty development program. Dr. Khan has also reviewed and supervised various research papers/thesis and has attended various National and International conferences. She is the author of various research papers published in the International repute Research Journals of Pakistan. She is also supervising MS, MPhil and PhD candidates of different universities in Pakistan.